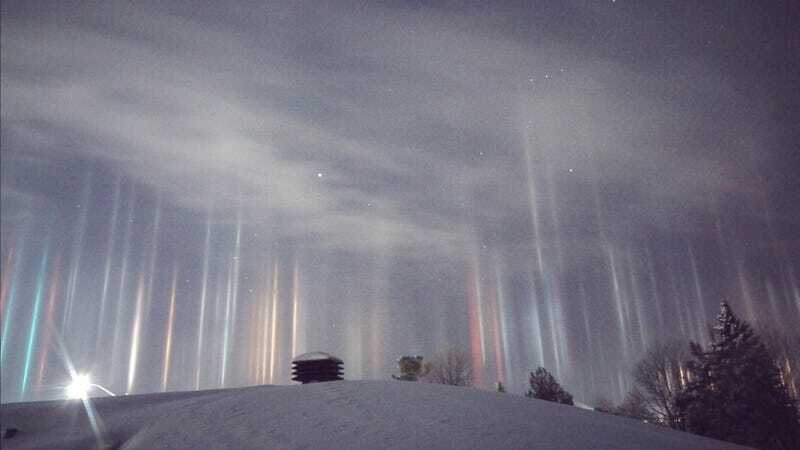 These vertical beams of multi-colored light looks like auroras, but they appear when either natural or artificial light bounces off ice crystals floating close to the ground. How does the Sun create a pillar of light in the sky? Why Are There Three Suns In The Sky?